Been working on this for 2 days straight! In the interest of watching the ball drop with my girls, I’m uploading what I have complete for now, and I’ll finish it up afterward. Happy New Year, Bits and Bytes! It is done! I’ve been working on this for 3 days straight, so I’m sure something’s off (on the comic; my brain is completely out the window), but I shall return and type up the blogpost after I’ve had a small break. ‘Gonna go play a board game with Lily or something. Something less “drawing a comic at a computer”-y. Go, uh… Go look at other stuff I do, or see this comic at double size at my Patreon page or somethin’. Hoo boy, challenges. I’m not one for New Year’s resolutions, as the convention seems like a setup for failure. But I do like to challenge myself, every once in a while. On December 30th, at 4AM, when I decided to challenge myself to finishing this comic in time for New Years, I did so knowing I would not be able. Or perhaps it’s clearer to say that I believed it until two hours later when I did the raw time math. But I’m not upset about it. I put my all into the challenge, despite knowing I would fail. The 30th, 31st and 1st; I worked on this comic from morning ’til bed, with breaks to care for Lily, to eat, and to watch the ball drop. I drew faster than I’ve ever drawn for longer periods than I’ve ever drawn (and felt more wrist pain than I’ve ever felt), and I’m proud of that. Maybe I’m a sucker for the futile climb, maybe I’m an optimistic defeatist, an adoring cynic, maybe I watched too much Pokemon as a child and became desensitized to failure through Ash’s embarrassing exploits. For me, it’s all about the climb. It is my belief that struggling brings out the purest essence of a person. I want to continue to struggle and improve. I guess that’s my resolution? CRAP, NOW IT’S RUINED! And you, too, shall be able to experience the whole ridiculous shebang once I edit together the timelapse of me drawing this leviathan! Keep your eyes toward my YouTube channel! OH WAIT IT’S UP!! Seeing as how now is about the time one shares their Top 10 list of games for the past year, and seeing as how I am sort of in the business of video games, I should throw mine out there. I’ll also be sharing this in my New Year Let’s Talkujo video, but for now, let’s just get right to it. With every release, I feel Media Molecule’s baby lose a little more of its homemade indie whimsy, in exchange for bigger, more complex levels with ever more exuberant presentation. Whether or not you’re in favor of this (I’m not), LittleBigPlanet 3 is a fun game with a lot of content (largly thanks to its community levels). The main story campaign is impressive with some fun new ideas, and they’re presented well– IF you’re playing by yourself. 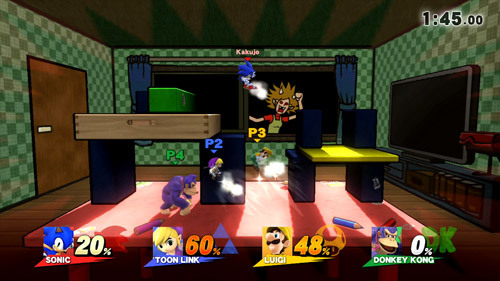 Add another player on and the game’s events trigger at the wrong time for P2 to get across a gap, the camera pans way before P2 can get up the ledge, and sometimes the game just goes bananas and clips both of you through the floor. As much as I should never have to say this about a LittleBigPlanet game: For Bunkum’s sake, don’t play this game with other people! For all that I enjoyed it, I didn’t find myself swept up in Shovel Knight’s nostalgia-hype as much as others. Don’t get me wrong, I consider nostalgia a legitimate reason to enjoy a game. I mean, in the end, it’s all chemicals in the brain, right? I didn’t grow up with Mega Man and Castlevania, so I played through this game a little less “influenced”. 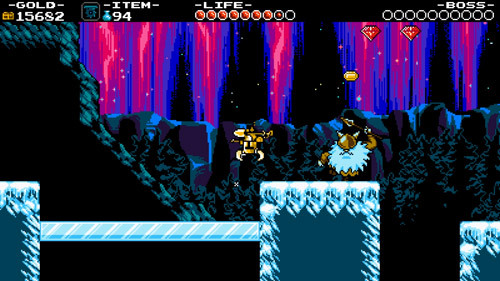 Shovel Knight is a solid adventure-platformer that plays all its parts well, but didn’t leave me with many memorable moments. Other than the Trouple King’s dance. That dance got it a spot on my Top 10. If Smash Bros. were bread, and you were somehow possessed to place a baseball and the rules for Rock/Paper/Scissors in between two… Smash Bros…? 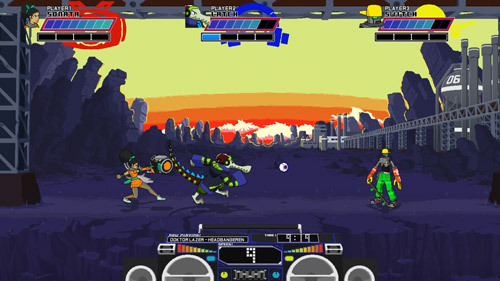 You might have a Lethal League sandwich (Christ, I’m still doing the sandwich metaphor). I can tell you right here and now that Lethal League would have a higher spot if I had some friends near my skill level to play it with. But alas, I moved away from my friends and am left only to play with others online. Not that the online play in Lethal League is bad, I’m just averse to playing competitive games online. Such a pity, as Lethal League is a blast to play. It’s simple enough for my 4-year-old to pick up, and optionally complex enough to have crazy-intense metagame. The kind where spectators throw down their chairs and scream “OOHHHHHHHHHHHHHHHHHHHHHHH”. The tightest arena-brawler I’ve come across, Towerfall is about archers with probably really buff calves. Sadly beleaguered on this list for the same reason as Lethal League, but even without online play, your typical Towerfall match has enough chaos and variety that even my less competitively-inclined family can pull off a few victories. While the learning curve is slightly more steep than Lethal League’s, the metagame can go significantly deeper. Really though, it’s not fair to compare the two. Lethal League would be hyper-Checkers with knives, whereas Towerfall might be: (Sumo Wrestling x Chess) + Hungry Hungry Hippo. Right? It’s not often I have the pleasure of playing a game with both good mechanics and an interesting story. The modular abilities were the star, in my eyes. Even after the game was over, I still wanted to play with the different combinations and see what kind of Red (the character) I could create. 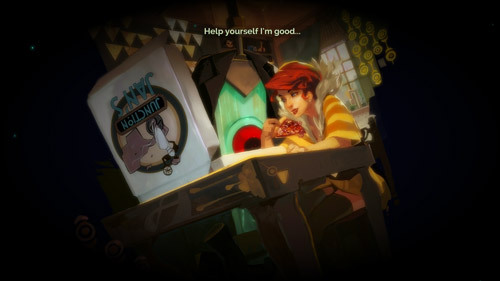 My hope is that Transistor was Supergiant Games’ “Assassins Creed” and that they were merely testing this combat/character-building system for something more expanded, and that instead of applying the system to another game, they make a Transistor 2. That’s what they did with Assassin’s Creed and Prince of Persia, wasn’t it? Oh, and the music was beautiful. 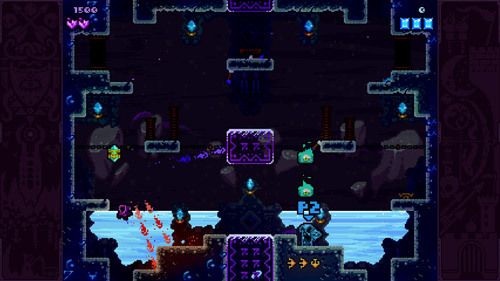 In this co-op-focused platformer, it really came down to finding another person who was as obsessed with collecting all the hidden things as I am. And those “things” unlock new weapons and faces? Dang! 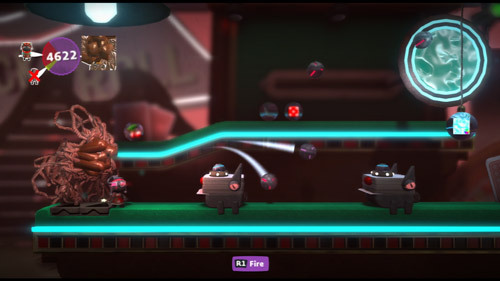 Once you get a flow going with a co-op partner, it’s really hard not to smile and enjoy the camaraderie and then blow your friend up with a walking frog-bomb. And the narrative provided by StamperTV fit very nicely into the simple, fun chaos of demon-possessed hats and hairball-hacking cat guards. 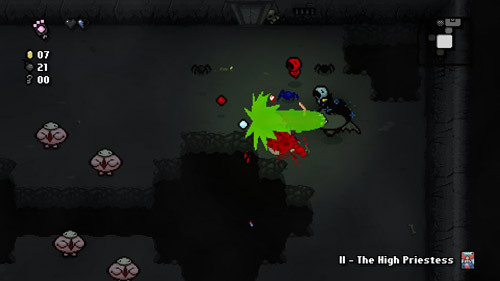 I put in some solid hours with Edmund and Florian’s original roguelike dungeon-crawler filth-fest, but Rebirth took all that I loved about it, gave me more, and presented it all in a 16-bit package. Adding the ability to save your run’s progress for after your child’s spontaneous need to feed made all the difference for me. Melee was great, Brawl was light on worthwhile content, online play and gravity, but Smash 4 really brought the whole package. The system has better weight, the roster is much more balanced and colorful, and there’s content for days! 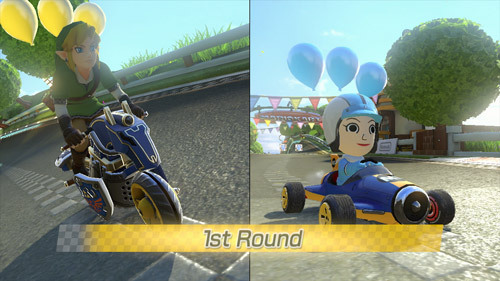 Sure, there’s no Subspace Emissary (which would have been so awesome on the Wii U), but the online– it exists! And it works! I main Kirby and Lucina, by the way. This game came into my life out of nowhere. I had ignored it for so long; it wasn’t even on my radar. Like, I wanted it, but it wasn’t on “The List”. ‘Get on with it’, I hear you cry, but I need you to understand how this game went from “Meh” to “AHHHHHHHHHHHHHHHHHHHH” after playing it for even 10 minutes. I want to play this game all the time. I wish I were playing it right now. 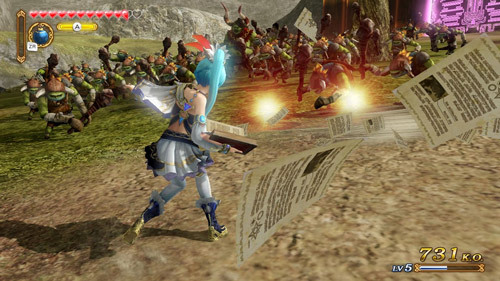 It’s Dynasty Warriors, only with characters I care about. It’s Zelda, but without the 30 dragging minutes of opening exposition. One small cutscene and I was Link, hero of Hyrule, Termina, Twilight and what have you; mowing down moblins with satisfying, extravagant combos and special moves! You get to play as all your favorite Legend of Zelda characters (except Tingle…) across an incredible amount of content, and I just… Can we move this along? 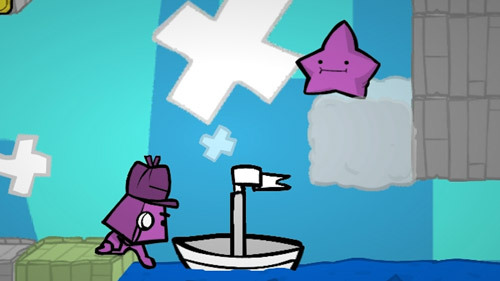 I’d like to be playing this game right now. And when they’re fully released, they might find themselves on that year’s list. Lily starts back up with school this Monday, so I’ll finally have that bit of a break back. Ooh, later this year marks when Lily starts kindergarten AKA fulltime school! 7 hours a day, 5 days a week for me to get more KakuJomics things done! Unless kindergartens do half days? I should really know these things. So that’s it! Thanks for all your support in 2014! Thanks for the comments of encouragement, the likes, the favs, the shares, the commissions, the patreon pledges, all of it! I hope I can continue to do things that you like and find the urge to support! Happy New Year, Bits and Bytes!! I wonder, what is a bit and what is a byte? Loved the New Year’s comic, just wondering. Why aren’t the characters coloured? Thanks! I was trying to get the comic up in time for New Years, so I uploaded what I had finished at that point. It’s complete, now! Say, Kakujo… I notice that you seem to have made at least one comic about every game series or game that you have played on the channel… Except for Don’t Starve. This isn’t a suggestion or a complaint (it’s not supposed to be anyway) but c’mon you even made a Journey comic, I’m sure you could have made a Don’t Starve joke somewhere. (not complaining though, keep up this stuff). After she played with his feelings on his first run-through, I’m surprised he didn’t chew her out. That kind of woman is not worth the time-travel.